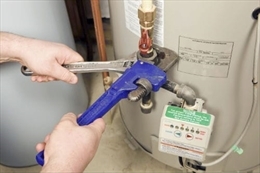 •	10/5-year warranty on parts of ab HVAC system depending on its quality. •	12 months warranty on labor cost to replace parts. Extended warranties add value to standard warranty by adding additional years for part replacement and related labor costs. An extended warranty can be provided by the manufacturer. 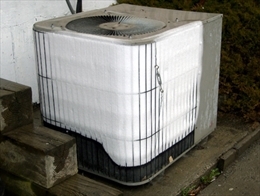 They are also offered by third parties/warranty administrator and HVAC contractors that supply and install your system. The benefit of an extended warranty is that the user will not have to pay the labor costs from their pocket, if part replacement is required after 12 months. The same goes for buying parts after standard guarantee expires. •	Extended warranties are expensive. Their cost is usually more than the cost of a maintenance agreement or service call from your HVAC contractor. •	You may have an extended warranty for 10 years. But the equipment you bought may reach a dilapidated state within half that time. So you may end up paying for something you no longer want. •	Sometimes extended warranties are not really worth. The standard guarantee on your HVAC that you get from the manufacturer is sufficient. This because a standard warranty is generally given for first few years. The malfunctions that may occur will occur much later when extended warranty expires. •	Extended warranties are also not worth because of the depreciating value of consumer products.